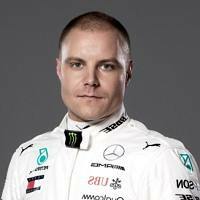 Valtteri Bottas who become professional formula one driver in year 2013. He signed in year 2012, with the Formula one team (Williams F1 Team). At that time his annual salary said to be ($250,000). On 16 January 2017, Mercedes F1 team signed Bottas for the season 2017 alongside Lewis Hamilton. Since 2012-16 he drives for the (Williams Martini Racing) for five years. The best season he had with Williams Martini Racing team is (2014). When he finished at 4th place on drivers points table. After successful back to back season in Formula one the team of (Mercedes-AMG Petronas Motorsport) signed him in 2017. In the first season of F1 with the Mercedes AMG Petronas F1, Bottas finished at 3rd place on points table alongside Vettle and Hamilton. His new contract with the team made him top paid formula one driver of year 2018. According to sources, he earn $500k per race in season 2018 and his annual base salary is ($8 million) which include $500,000 endorsement earnings. The details of his earnings and salary taken from trusted sources.